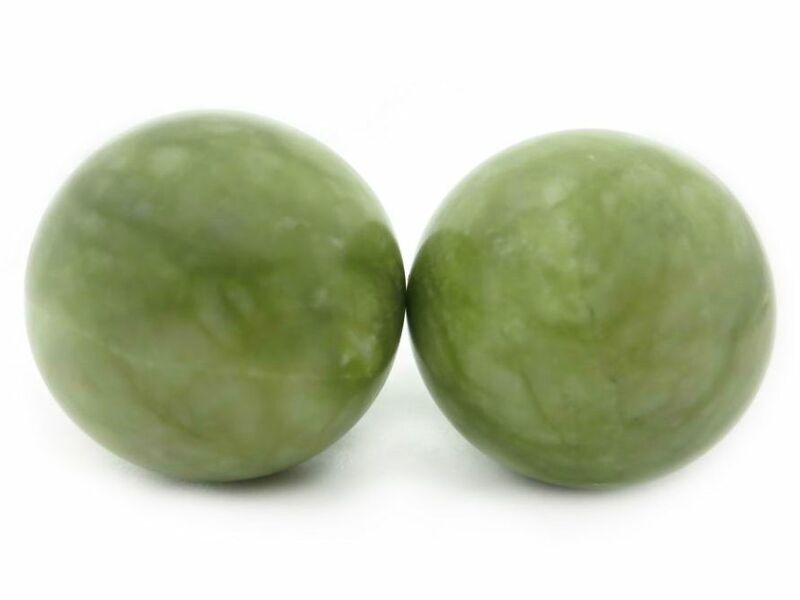 Two solid green jade Baoding Balls. The Chinese believe Jade is a symbol of purity, grace, and beauty. Every aspect of jade has some meaning. Its color represents loyalty; its interior flaws, always showing themselves through the transparency, call to mind sincerity; its iridescent brightness represents heaven; its admirable substance, born of mountain and of water, represents the earth. Stone is cooler to the touch and is believed to balance out excess yang energy. Jade balls are much heavier and more fragile than metal so they should be handled with care and used carefully.